Graphene allows to conduct 10,000-100,000 transactions per second due to parallelization and scalability. Platform supports unskilled games of equal chance. You just have to roll the dice and blockchain will take care of all calculations and estimations. Bonus tournaments are held on a regular basis and VIP-investors get life-long unconditional access to them. 50% of collected fees gets automatically transferred into BT prize fund. There are only you and your opponent. No third party, no ‘bank’ nor ‘casino’ is involved. Platform has absolutely no interest in cheating. Both players have equal chances to win. We do not impose limits on deposits and withdrawals. We believe anyone should be able control his resources freely. ExeptDice token, there will be an opportunity to play with BTC, ETH, LTC etc. 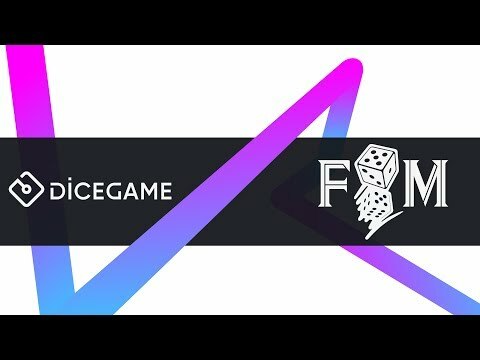 There are no centralized nodes that could influence players’ dice. The results are determined solely by smart contract and data from both participants in a pair. Team is very weak. Fail to see actual gambling or fintech experience. However the KYC is passed. Marketing campaign is very weak and one-sided. Fail to see an MVP/Alpha version. After brief review it seems that team previously did not work with licensed gambling projects. The vision is interesting but currently has organisational problems which are also not reflected in projects documentation. No information about company which is responsible for the tokensale, no T&C of tokensale and absence of certain limitations of who can use project's tokens makes it potentially risky from legal point of view. Nothing stops minors from buying gambling tokens now. Other problems are related to ingnorance in whitepaper to questions of responsible gambling and RNG certificate issues. Current RNG model may be potentialyy difficult to be approved by regulators and statement of creation of internal exchange services require additional licensing for the platform. Generally, the idea is interesting, however it seems that certain aspects of project are yet to be published / to be done. Regarding licensing for the platform, we have already started to work actively on the Malta Gaming Authority (MGA) license, according to our plan we are going to get it right after the ICO end. It would be great if you could review our improvements and reevaluate the project. If any questions, would be glad to answer. Thoroughly examined the project team, obviously they are not gamblers but still have practical experience in many fields, which delivers fresh vision. Can’t find a reason to distrust them. Idea of transparent gambling is not new, but the way of blockchain implementation is brave and deserves our attention. Platform’s mechanics suppose a complete elimination of Random Number Generator, which, for sure, brings the platform to another level. I was excited on their approach of boosting economy with the help of Bonus Tournaments. They not just create the regular tournament, this is a solid part of economical sector for the whole project with its positive influence in general. And last but not the least they explained in detail the ROI question (economy block on their web-site) that is a wise step towards community. Definitely recommended for contribution.